According to the recent survey by Working Group 1, most bicyclists in Europe recognise the increased safety of wearing a helmet. However, they provide an extensive list of reasons why they still do not do so, including thermal discomfort. Working Group 2 found similar results in their survey. 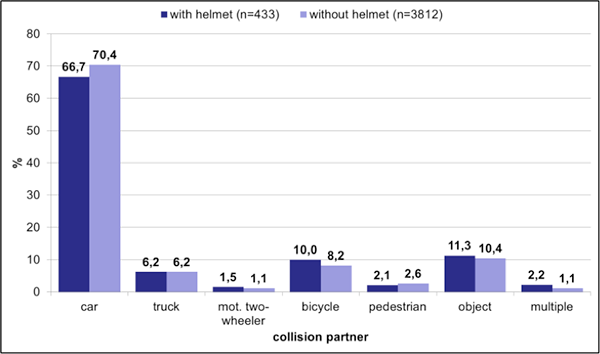 In addition, the lack of sufficient and consistent data about cycling accidents in different European countries makes it difficult to pinpoint exactly how beneficial bicycle helmets are, or how effective they are in preventing serious injury. In an attempt to collect and expand Europe-wide research on this topic, and provide recommendations for further improvements, Working Group 1 examined injury data from 20 European countries, conducted accident research and performed field studies of cyclists’ attitudes and behaviours regarding helmet usage. The primary goal was to offer advice and insight into improvements still yet to be made on a European level to make cycling even safer. Starting with publications from the International Traffic Safety Data and Analysis Group (IRTAD), the Citizens Consular Assistance Regulation in Europe (CARE) and the European Road Safety Observatory (ERSO), Working Group 1 assembled as much data as was available. In particular, ERSO’s annual statistics reports, DaCoTa, provided data up to and including 2010. 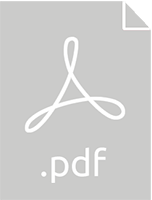 The largest German In-depth Accident Study Report (GIDAS) was also analysed, as it provided information on helmet efficacy in regard to head injury. Further research and field studies were then conducted to provide insight and information that could propel helmet safety standards to higher levels, and encourage helmet usage among cyclists. 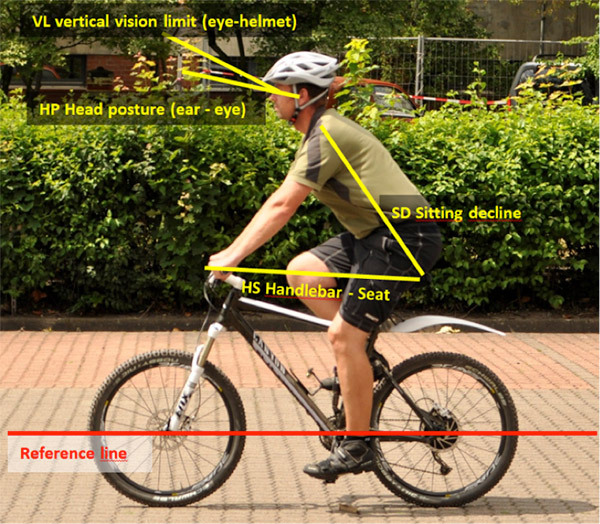 In another field study, Working Group 1 took pictures of bicyclists in all age ranges and bicycle types, in order to evaluate posture, head position and helmet position. From these pictures, different angles were identified in order to assess helmet position and body posture while cycling. The incline of the line between the handlebars and the seat can indicate the degree to which the handlebars are raised above the seat. Combining these measurements with an approximation of the cyclist’s age provided data about posture and head positioning. Of course, the type of bike had a major influence on handlebar positioning. Racing bikes often have handlebars that rest below the level of the seat, while mountain bikes and city bikes do not. Helmeted riders held their heads slightly lower than those who did not wear a helmet. The limitation of vision, mostly due to the helmets sun shade, varied from 0 degrees (horizontal line from the eye to the sun shade) to 75 degrees upwards. Age appeared to have no impact on posture or head positioning. However, older riders who wore helmets tended to wear them lower on their faces, which could possibly affect vertical vision limitations. Overall, the studies begun by Working Group 1 in some European countries could be carried out for all of Europe. 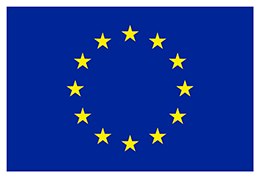 The primary area in need of further investigation is in the development of a Europe-wide system through which European cycling data, accident information and data about helmet usage could be continuously collected. Such data can be more uniformly, accurately, comprehensively and effectively collected, shared and distributed. Only then can we analyse and interpret Europe-wide data in order to evaluate the true influence of helmets on increasing bicycle safety. In addition, improvements to helmet design and helmet usage standards, customised for each type of bicycle, can increase helmet effectiveness and the likelihood that cyclists will actually wear protective headgear. Further research can support the need for improved protection zones and side-impact panels.